The fear of missing out, or FOMO, is not a new concept for those working in the event industry. It’s the perfect tool to use to drive ticket sales and boost attendance. According to Eventbrite, 69% of millennials experience FOMO, which is fueled more so now by social media updates and sharing. With that in mind, this psychological phenomenon can transcend just boosting ticket sales. It can also be used to increase attendee engagement! 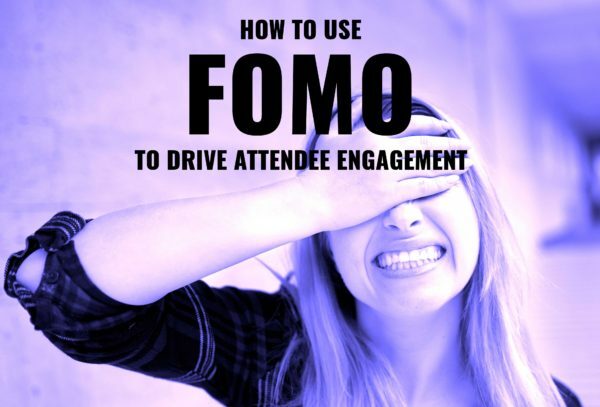 With the use of social media at events on the rise, using FOMO to boost attendee engagement is easier than ever. Keep reading to learn how. Engaging attendees and increasing participation at events can be challenging at times. However, using FOMO to boost attendee engagement via social media at events is certainly feasible. All it takes is some creativity! Opt for event technology that integrates seamlessly with social media. 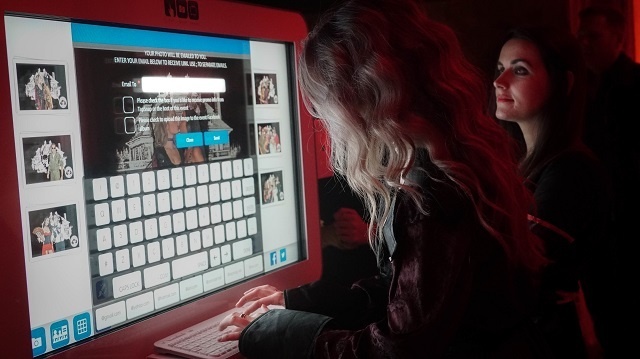 Consider a photo booth rental which allows attendees to instantly share their event photos on Facebook or Twitter, as well as a social media wall which can broadcast messages and photos using your event hashtag on big screens around the venue. Participation may not sky-rocket at first, which is why it’s important to provide some incentive. Think about hosting a photo contest with your photo booth rental and social media wall. Encourage people to tag their photos with your event hashtag to make tracking easier. If you’re unsure of where to start, check out these 5 tips on how to create a hashtag for an event. Create a connection (at the event, and online). Attendees who see the experiences on big screens around the venue will undoubtedly want to be included in the fun. As a result, you have a more engaged audience that doubles as ambassadors for your event. In this way, your event is reaching people beyond those in attendance. Aside from this, a social media wall can also be used to create a sense of community for event-goers. This is because it enables better communication among attendees and event personnel such as speakers or organizers. Look for a social media wall that can also be embedded on your event’s website. That way, those who weren’t able to attend can still follow along and participate through social media. This not only uses FOMO to engage a wider audience, but could potentially serve as encouragement to purchase tickets the next time around too. To learn more, take a look at how SnapCast, our social media wall, benefits your event! With new and improved event technology readily available, driving attendee engagement should never be a challenge. If you’d like to learn more on how TapSnap, our photo booth rental, and SnapCast, our social media wall, can help your event, give us a call at 1-877-577-0566. We’ll work with you to find the best customized solution. Don’t forget to check your date too!